COLUMBIA, MO--(Marketwire - March 4, 2008) - Floyd Norris, The New York Times's chief financial correspondent, will receive the 2008 Distinguished Achievement Award from the Society of American Business Editors and Writers (SABEW) at its 45th annual conference in Baltimore, Md., on April 28. He covers the world of finance and economics in print with his weekly column and online with his blog "Notions on High and Low Finance." Both also appear in the International Herald Tribune. "Floyd's groundbreaking, insightful coverage of the world of business has earned him the respect and admiration of colleagues. SABEW is pleased to acknowledge his contribution to the field of business journalism with the Distinguished Achievement Award," said Gail DeGeorge, Sunday/Enterprise Editor at the South Florida Sun Sentinel and president of SABEW. Norris is the 18th business journalist to receive SABEW's highest award since its inception in 1993. Other winners include: Barney Calame and Paul Steiger of The Wall Street Journal; Stephen B. Shepard, BusinessWeek editor in chief; Carol Loomis of Fortune and Myron Kandel of CNN. 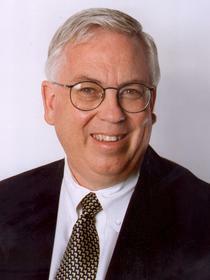 Before joining The New York Times in 1988, Norris worked at The Associated Press and Barron's magazine. He is a co-author of "The New Rules for Personal Investing," 2003, and the co-editor of "The New York Times Century of Business," 1999. He also has been honored by the Loeb Foundation and New York Financial Writers Association. He was a Knight-Bagehot Fellow at Columbia University, where he received an MBA. SABEW is a 501(c)(3) education organization representing more than 3,200 journalists from its base at the Missouri School of Journalism. Formed in 1964 to promote superior coverage of business and economic events and issues, it is the only business journalism association for editors and writers. Its 2008 annual conference will be held April 27-29 at the Sheraton Inner Harbor Hotel in Baltimore.